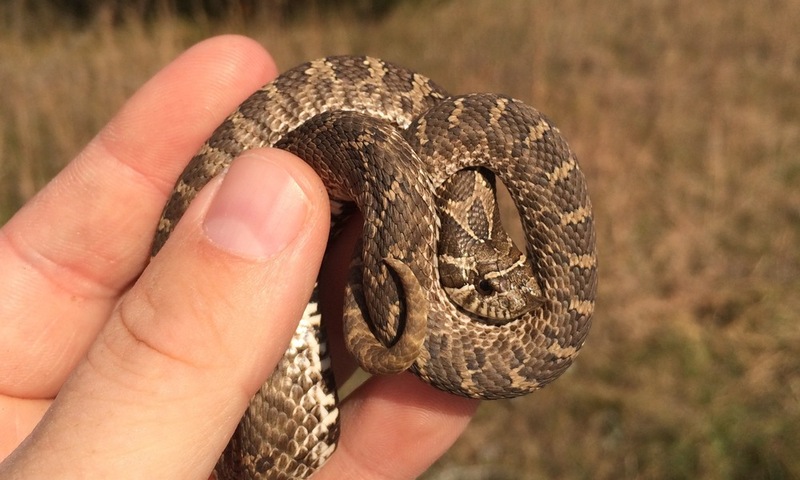 Plains Hog-nosed Snake (Heterodon nasicus) from a Minnesota sand prairie. Likely in its second or third year. Plains Hog-nosed Snakes (Heterodon nasicus) are a fascinating small species of North American snake, with the largest individuals around 24 inches (60 cm) in Minnesota. But until relatively recently, very little has been known about its natural history. Believed to spend the majority of its time below ground, few areas are known where sufficient numbers can be reliably found for detailed study. Platt (1969) reports on natural-history observations made in Kansas, U.S., and Wright & Didiuk (1998) reports on observations in Alberta, Canada. Starting in 2010, Minnesota Nongame Wildlife Program biologists from the Minnesota Department of Natural Resources implanted Plains Hog-nosed Snakes with tracking devices (telemetry). These devices allow biologists to follow snakes throughout the active season to document snake spatial ecology (movement patterns, habitat selection, and other behaviors). Natural history observations following the first two years were published with some findings supporting observations made by others, but much of what has been discovered runs contrary to what was believed up to that point (Hoaglund & Smith, 2012). For instance, based on over 450 observations made using telemetry, biologists discovered that hognose spend the majority of their time above ground, even during the heat of the day, but are extremely difficult to find because they hide in grass clumps, under thatch, and in small patches of shrubs (as shown in the HerpersTV video). 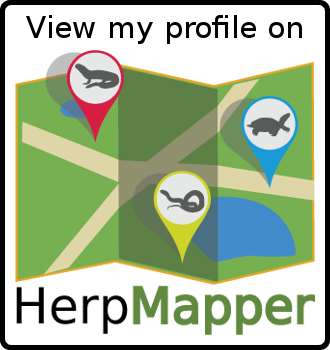 Additional years of tracking have occurred since the Hoaglund and Smith (2012) publication, making this project the largest ever conducted for this species. Additional publications are in preparation, and will further illuminate the fascinating lives of this small secretive snake. Here is a video of a Plains Hog-nosed Snake burrowing into a communal overwintering site in central Minnesota. Help support this work. The Minnesota Nongame Wildlife Program is funded largely by donations. Donate today. Heterodon nasicus in Minnesota. Reptiles & Amphibians, 19:163-169.